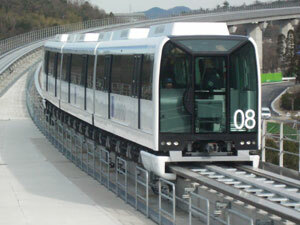 Linimo is a first commercial application of HSST system Tobu-Kyuryo-Line, Linimo, which is the first commercial application of maglev transit system in Japan, connects Fujigaoka station of subway line and Yakusa station of Aichi Loop Line. Its length is 8.9km. It is playing a large part in local transport in this area. 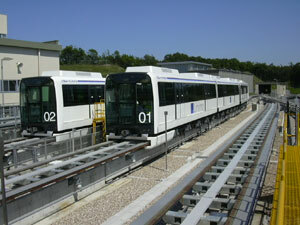 Go to THE WEBSITE of Aichi Rapid Transit Co., Ltd.